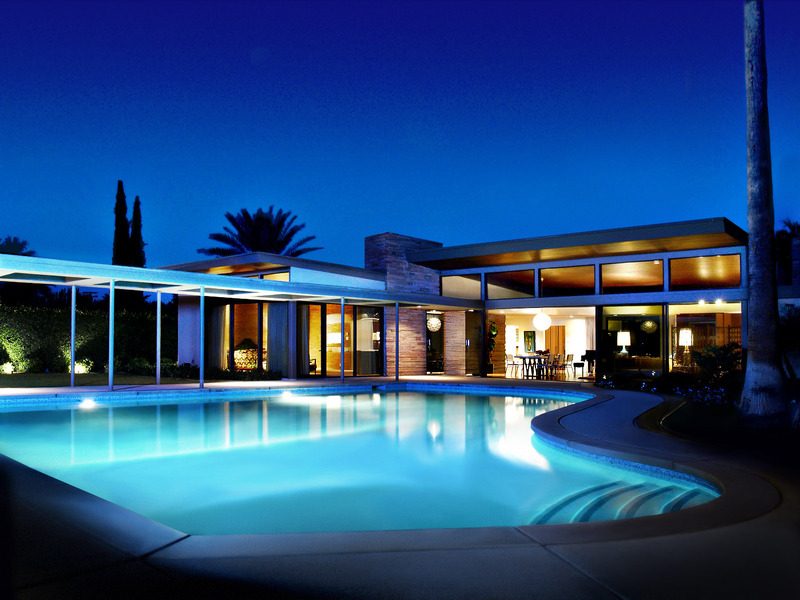 Frank Sinatra’s former desert hideaway “Twin Palms” in Palm Springs, California is up for sale. In the late 1940s old blue eyes had just made his first million and he wanted to celebrate in style, so he commissioned architect E. Stewart Williams to design a lush weekend getaway house for throwing parties and lounging by the pool to be ready before New Years eve 1948. Now you have the chance to get your hands on this oasis in the desert. The price tag is a modest $3,250,000 but can also be leased at $14,000/month (cocktails not included). The house is also perfect for glamorous photoshoots and makes a great filming location, so anyone wanting to make some money off their purchase will most likely find Twin Palms a solid nugget. Here’s an idea, let’s all put in $1,000 each and buy it collectively. I will even volunteer to host the first cocktail party! Update (2017): The house can nowadays be rented or used for weddings and television usage, more information here.